These highly concentrated pearlescent and iridescent colors have incredible strength and power. Perlacryl shades are non-blocking, elastic, scratch-resistant, and water-resistant, making them ideal for a variety of media applications. 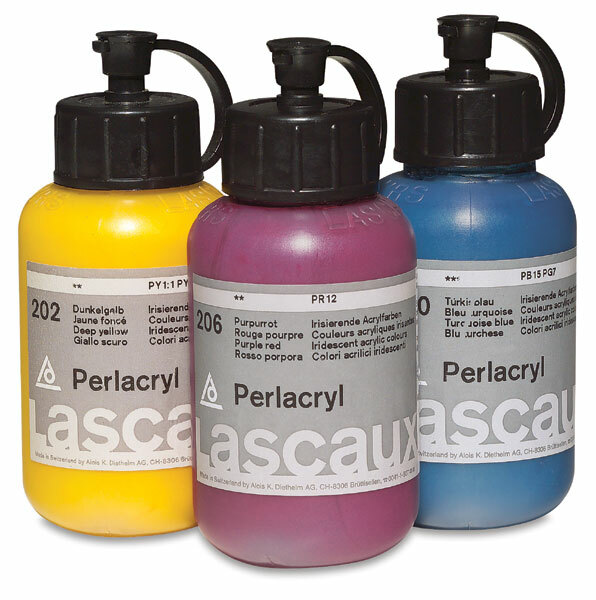 Note — Perlacryl colors are based on the use of aluminum silicate (mica) powders, together with conventional pigments, to achieve pearl and iridescent effects. Lascaux also offers the Bronze Acrylics, a range of acrylic colors based upon bronze metallic powders.